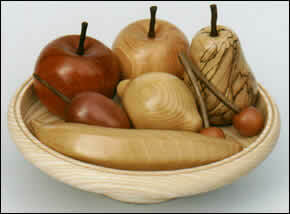 The majority of the bowls I make are either purely decorative or for displaying fruit. 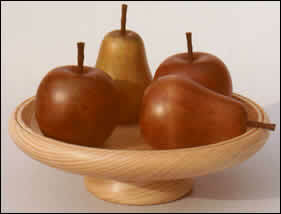 Pedestal style bowls with simple flowing lines to elevate and display fruit to the fullest advantage. 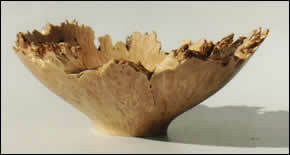 Many have a decorative rim. 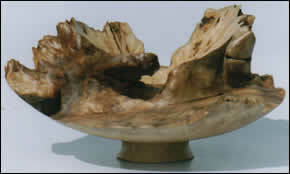 They are normally between 8-11” (20-28cm) in diameter and either 2” or 3” (5 or 7.5cm) high. Prices start at £24.00. 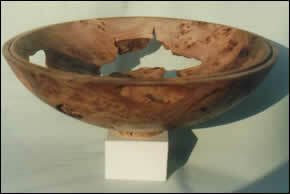 Above are two photos of the same 9” diameter, 3” high, ash bowl priced at £32.00. 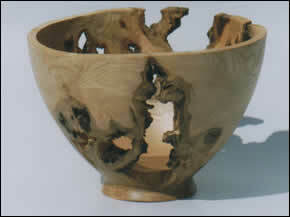 The photos below are a small selection of artistic bowls sold through galleries in the last couple of years. 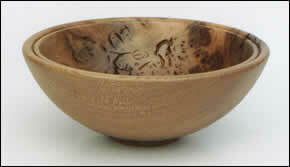 Please view the selection of bowls available in the shop or get in touch if you would like to commission a bowl.